OPEN SUNDAY 2/17, 11:30am - 1pm. INCREDIBLE Opportunity in Pittsford! 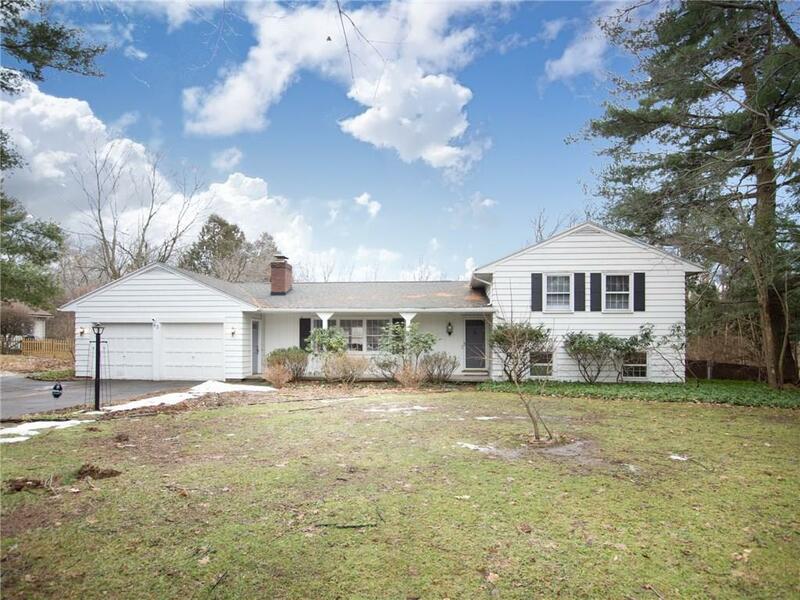 SPRAWLING Split level home on 1.2 acres w/ access to Irondequoit Creek! Beautifully landscaped gardens, Gorgeous In-Ground Pool w/ BRAND NEW fencing&Pool Cover, Hot Tub-A Resort-like setting CLOSE TO EVERYTHING!!! GORGEOUSLY RENOVATED interior: NEW KITCHEN w/ QUARTZ Counters, Open Floor Plan, High-end Cabinetry and Black Stainless Appliances. METICULOUSLY Refinished Hardwoods on 1st & 2nd floor, New Tile in Kitchen & Entries, ALL NEW Luxury Vinyl Tile Flooring in Massive lower level. 4-5 Bedrooms, 2.5 Baths! 1st Floor Laundry! TWO Brand New A.C. units & UV filter for HVAC system! TWO Wood burning Fireplaces! ENTIRE interior Freshly Painted. MOVE IN READY & Spotless @ a Price you can't get elsewhere for 3,000 square ft!! !